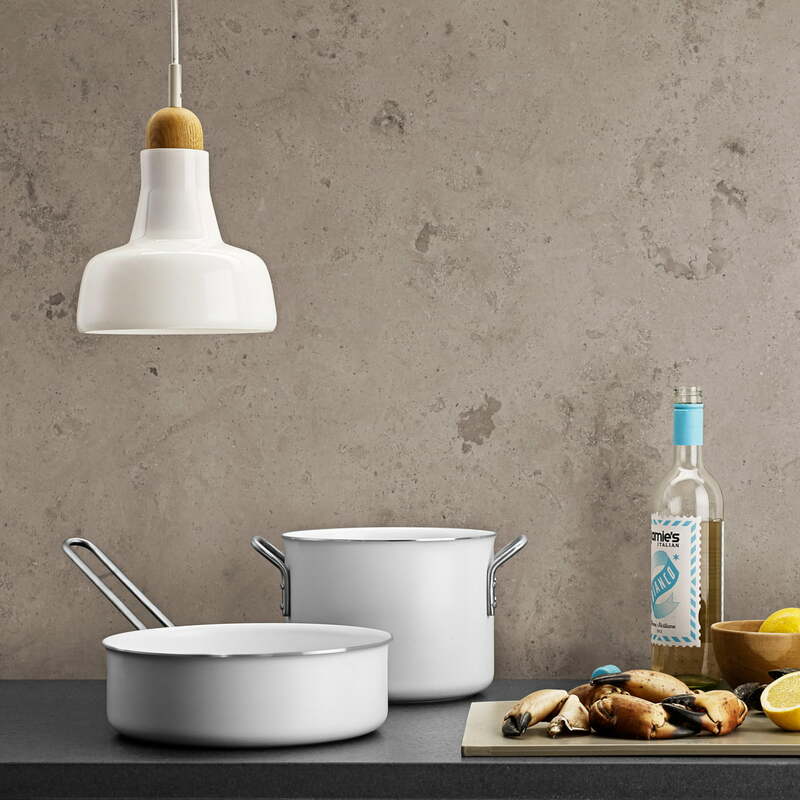 Eva Trio has once again worked on its pot and pan series - the result is a revised and improved White Line set containing practical and stylish pots in various sizes. The White Line pots by Eva Trio have three sizes with fixed diameters, so that they are easily stacked and save space when in storage. All pots are made of cast iron and aluminium with high wear resistance. Thanks to the Sliplet non-stick coating, the pots can be easily cleaned by hand or in the dishwasher. The handles are made of stainless steel, always remain cool when cooking and are also safe to put in the oven. In addition to the well-known advantages, the pots now have a layered base with an aluminium core. It does not only distribute heat more evenly across the entire base and on the walls - it even heats up more quickly. The White Line set includes a saucepan with a capacity of 1.8 L and two cooking pots without lids with a capacity of 2.5 and 3.8 litres respectively. If required, the lids for the Eva Trio pots are available separately. Each lid has its own special function. The decanting lid is, for example, perfect for cooking pasta, the glass lid always lets you have an unobstructed view of the food inside. This way a pot can have different functionalites depending on the lid used. The design of the pots was originally made by Ole Palsby in 1977. Shortly after it was already awarded with the ID prize by the Danish Design Council. With an unchanged design, the improved Eva Trio saucepans offer enhanced features while maintaining the same, timeless look. 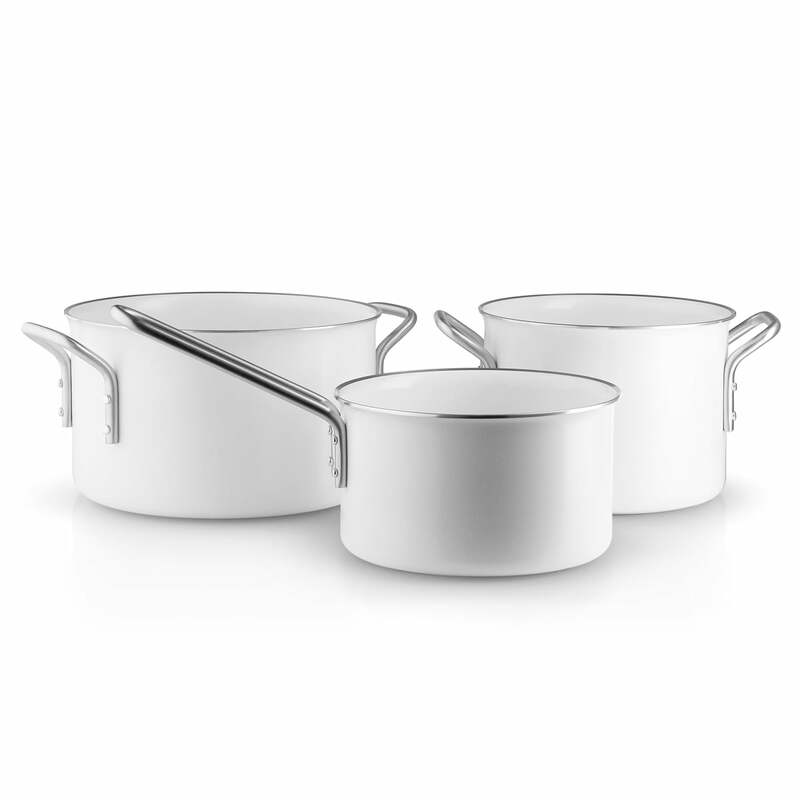 Group picture of the White Line pot set by Eva Trio with a saucepan without cover, and two pots without lids, all with Sliplet® non-stick coating. The matching lids are available separately. 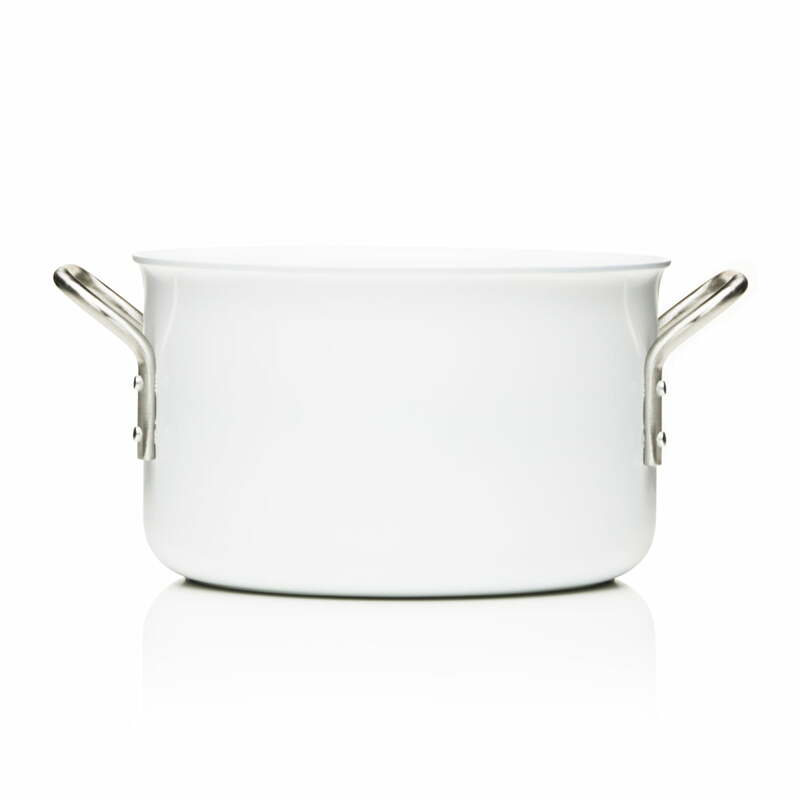 Individual image of the White Line pot with a capacity of 3.8 L by Eva Trio. The pot is suitable for every kind of hot plate, including induction, and is dishwasher-safe. 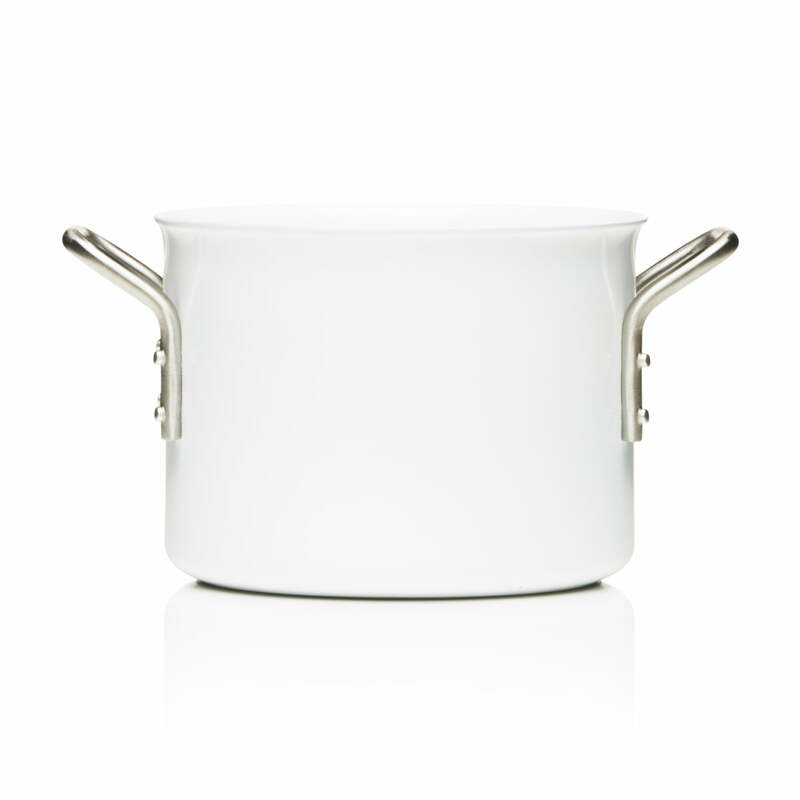 Individual image of the White Line pot with a capacity of 2.5 L by Eva Trio. The pot is suitable for every kind of hot plate, including induction, and is dishwasher-safe. 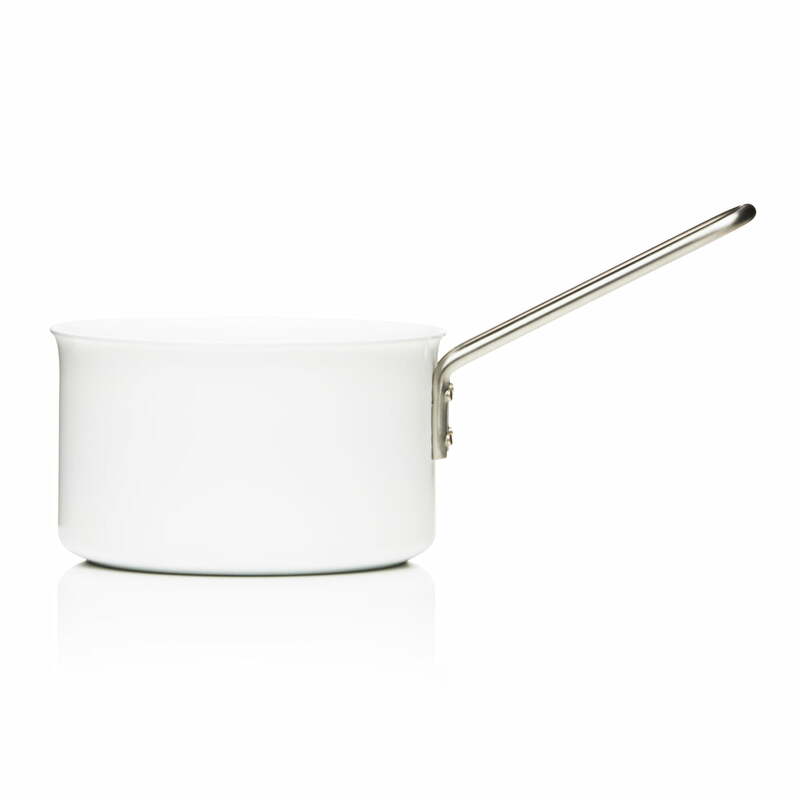 Individual image of the White Line saucepan with a capacity of 1.8 L by Eva Trio. The saucepan is suitable for every kind of hot plate, including induction, and is dishwasher-safe. All pots in the White Line series by Eva Trio are made of cast iron and have an aluminium core. Thanks to the Sliplet non-stick coating, the pots can be easily cleaned by hand or in the dishwasher.